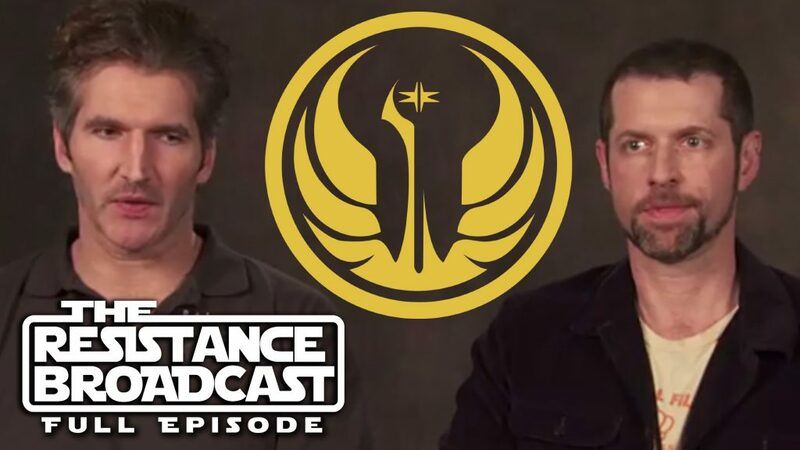 The Resistance Broadcast - Will Benioff and Weiss Take Star Wars to the Old Republic? Discussion in 'The Resistance Broadcast Podcast' started by SWNN Probe, Nov 1, 2018. 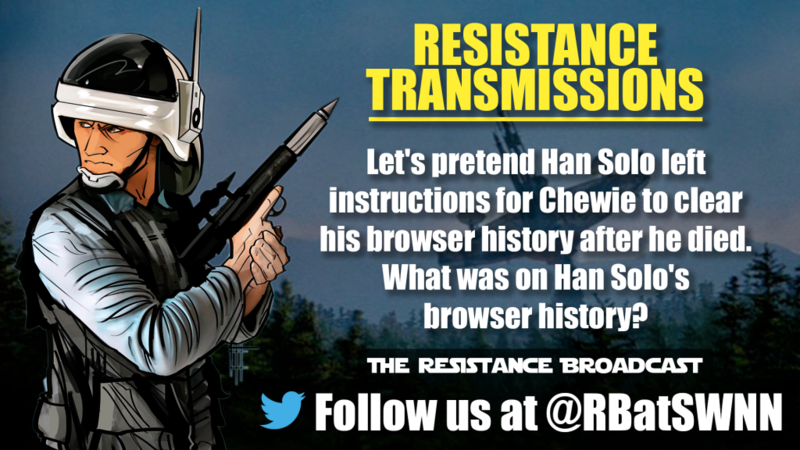 On this episode of The Resistance Broadcast we talk about the possibility of the Game of Thrones series creators bringing their Star Wars series of films to the Old Republic in our segment THE WILL OF THE FORCE. We also play a new game that you can play along with us called 'Who Are You?' where over three rounds we each recite a Star Wars quote and have the other two guess who said it for points. Let's see if you're better than us! Be sure to subscribe to our YouTube channel or follow us on Soundcloud so you are alerted when new episodes post! If these formats aren't your thing, subscribe to us here on your podcast app via iTunes! We are also now on Spotify so just look us up there! 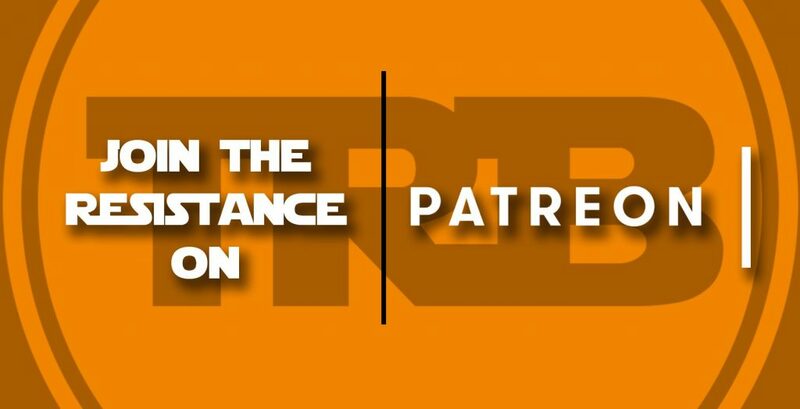 SPECIAL ANNOUNCEMENT: The Resistance Broadcast is finally starting a Patreon! We will be launching on 11/12/18 offering several tiers for patrons to join. More details to come on this but we are excited about this new phase for the podcast, we will be creating a LOT more new content that you won't want to miss! Stay tuned! Now on to this episode! <li style='font-weight: 400;']Many fans are assuming so based on their success with Game of Thrones, so Will the Benioff and Weiss series of films be set in the timeline of the Old Republic? <li style='font-weight: 400;']Will The Mandalorian have any famous actors/actresses or go with mainly unknowns? <li style='font-weight: 400;']Will The Clone Wars be able to live up the hype in its return? <li style='font-weight: 400;']Will a future Star Wars movie or live action show ever have a narrator? <li style='font-weight: 400;']Assuming The Force Awakens is unreachable, Will Star Wars Episode IX finish up as the second highest grossing Star Wars film of all time? <li style='font-weight: 400;']Will YOU win the game we are about to play in our next segment? In addition to deep discussions, Star Wars Wars, Kessel Run lists, we like to come up with fun things to do on the show. This week we are playing a game called “Who Are You?” Much like how Luke Skywalker asked Rey that question in The Last Jedi, each of us have compiled a list of 3 quotes from Star Wars movies, and the other two will have to guess what character they think said that quote. We will each take turns reading one of our quotes and letting the others guess. Each correct guess is worth two point. After three rounds the person with the most points wins tonight’s game! Did you play along? How'd you do? Did you beat John, James, or Lacey? Let us know in the comments or on Twitter @RBatSWNN! The only way to support our ability to give you two free weekly episodes is by buying some of our awesome designs on a shirt, coffee mug, tank top, sticker, hoodie, pillow, anything! Simply go to our Resistance Broadcast store on TeePublic - check out our 30+ different design and pick what you like. 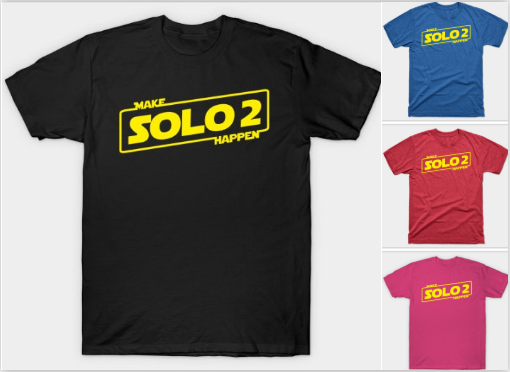 We created the hashtag #MakeSolo2Happen! Join the campaign! Grab yours on sale HERE - let's make it happen! my problem is that i don't think these to have played kotor or swtor. and they would be adding on to it without knowing what there adding to. i would feel much better if some of the writers from swtor come on board and help them.